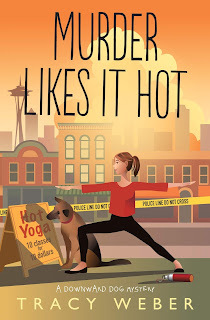 Kate Davidson here from Tracy Weber’s Downward Dog Mystery Series, celebrating the launch of my most recent adventure. Or I would be celebrating, if I didn’t have so much on my mind. Michael and I are having some, well, some issues. I’d tell you about them but I get upset when I talk about it, so I’ll just share the first chapter of Murder Likes It Hot. Not to give too much away, but my newest sleuthing misadventure also includes yoga classes at a Seattle service center for homeless teens, a murder, and (believe it or not) a couple of mischievous rats! The emptiness rolled in quietly, like a thick, cold fog. A hollow ache of longing so insidious that I didn’t notice its arrival until I’d been consumed by it. The yoga teachings give it a name: dukha. An empty cavity. A hole in the heart. In my case, dukha was a black hole I never knew existed. It hadn’t existed, in fact, until the day I witnessed the birth of Rene’s twins, Alice and Amelia. Since then, dukha had grown into a yawning cavern that devoured all of my enthusiasm—all of my passion. A cavern I desperately hoped to fill. Michael and I sat on the couch, knees inches apart but not daring to touch. He raised his hand to place a reassuring palm on my shoulder, and I involuntarily flinched. He stopped, pretended to examine his wedding band, then lowered the hand back to his lap. I pretended not to notice. We were stuck in a painful Groundhog’s Day loop six times in the running. I felt oddly detached, yet painfully present. The sofa’s worn fibers chafed the backs of my thighs, making my skin itch. The yeasty scent of Michael’s half-consumed Guinness invaded my nostrils. The mantle clock’s tick, tick, tick drummed against my eardrums. No, not drummed. Pummeled. Like Poe’s Telltale Heart, pounding out each second of the longest two minutes of my life. Why hadn’t we gotten this over with on Monday? 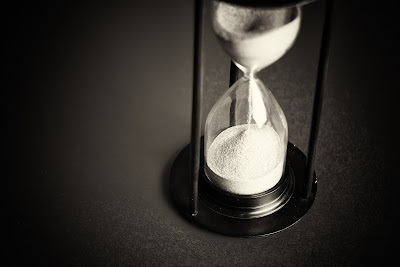 We’d waited three extra days this time, in superstitious agreement that if we pretended to have more patience, the outcome would be different. I went through the motions for Michael, but I already knew the outcome of our little charade. We’d get the same answer we'd gotten the last five times we’d gone through this ritual. If it were different, I’d know, wouldn’t I? I’d feel the life burgeoning inside me. I’d feel some connection. Some tickle of nausea not caused by apprehension. Some achiness in my breasts. Some … something. But my trickster mind toyed with me. Taunted me. Gave me false hope. Maybe not, Kate. Every pregnancy’s different. You expect too much. The timer on the end table dinged. My heart fluttered. My trickster mind stopped teasing, suddenly dumbstruck. Answer? No. Of course not. If I didn’t look, the possibilities were endless. If I didn’t look, I could go on pretending. Like Shrodinger’s cat, if I didn’t look, Mr. Whiskers would be both alive and dead. I would be both pregnant and not pregnant. If I didn’t look, I’d never know. I’d never be disappointed. I gave him a tentative nod, closed my eyes, and said a final quick prayer to the universe. Please? I read the answer on Michael’s face before I glimpsed the single blue line. Negative. Again. A familiar refrain—a mantra—said by my wonderful husband over and over and over again. What was once reassurance now felt like a dirge. Deep down inside, I knew he was wrong. For the sixth month in a row, Michael didn’t follow me upstairs. So, what do you think? Will Michael and I work this out? Will be ever start a family of our own? 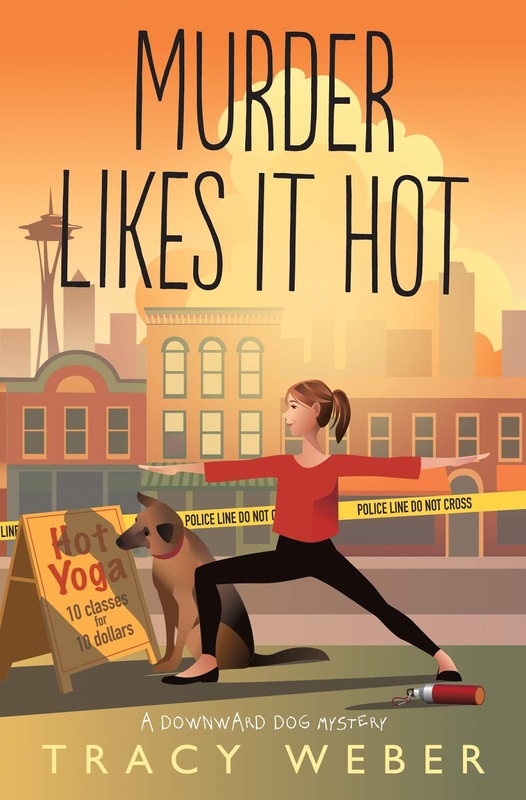 Check out Murder Likes It Hot to find out! I love this series!! I'll be picking it up soon. I hope it works out for Kate and Michael and a little one is created.